Business Summary: Boegger Industrial Limited is a professional manufacturer of random packing. Boegger lays stress on product improvement and technological development. We developed many petroleum refining catalysts, hydrogenation catalysts, ammonia synthesis catalyst and environmental-friendly catalysts on the basis of traditional packing. Boegger Industrial Limited is committed to providing our customers with the best quality and the most considerate service. 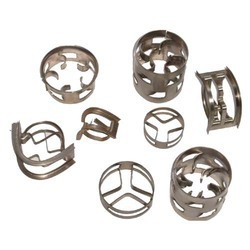 We can supply various high quality metal and plastic random packings, such as metal cascade mini ring, plastic conjugate ring, plastic teller rosette ring and plastic snowflake ring. Our products are available in different sizes, colors, shapes and materials. Specifications can be customized according to your request.